Viewing topic "Yamaha VST YC-3B, Cubase And High resoultion screen…"
Bought myself a new computer and it has a QHD screen with touch thats awsome. Cubase works fine except when opening Yamaha YC-3B Vst plugin and cubase scales down to “not possible to read” size. Its a 12 inch screen. Happens only with this plugin. It also does this with the MOXF editor VST and it’s really annoying. I’ve lost hope now that Yamaha will ever fix it. and it solves the problem perfectly. Hope it works for you. 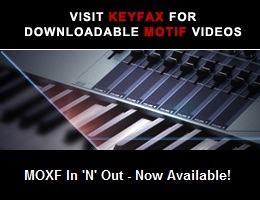 I use that fix on John Melas moxf software and it works great. For me the moxf editor vst works and Cubase does not scale when opening, it’s only yc-3b vst and then only Cubase scales, not the plug in interface. I will try to use the fix on Cubase and also on a single ell-file. It’s only this vst that changes Cubase resolution. Everything else works. Editor is fine.